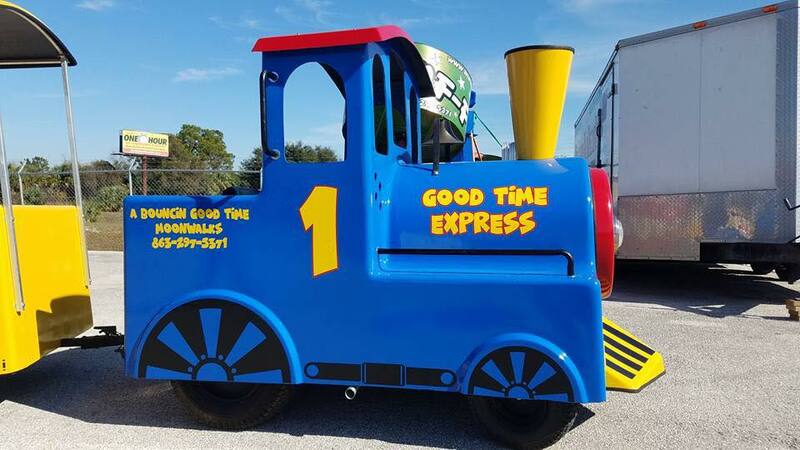 Our new Good Time Express trackless train is just what you need to take your party or event to the next level. 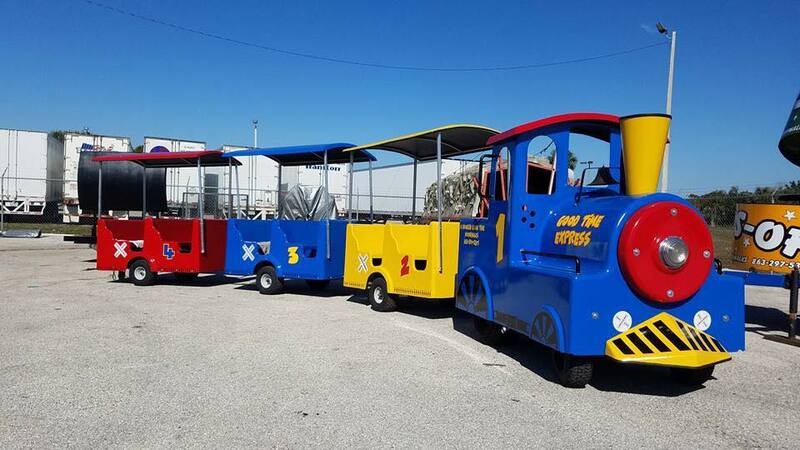 This an awesome looking Train with bright colors and canopies to keep the passengers out of the hot Florida sun. Can be used anywhere a riding mower can go, CANNOT be operated on public roads. 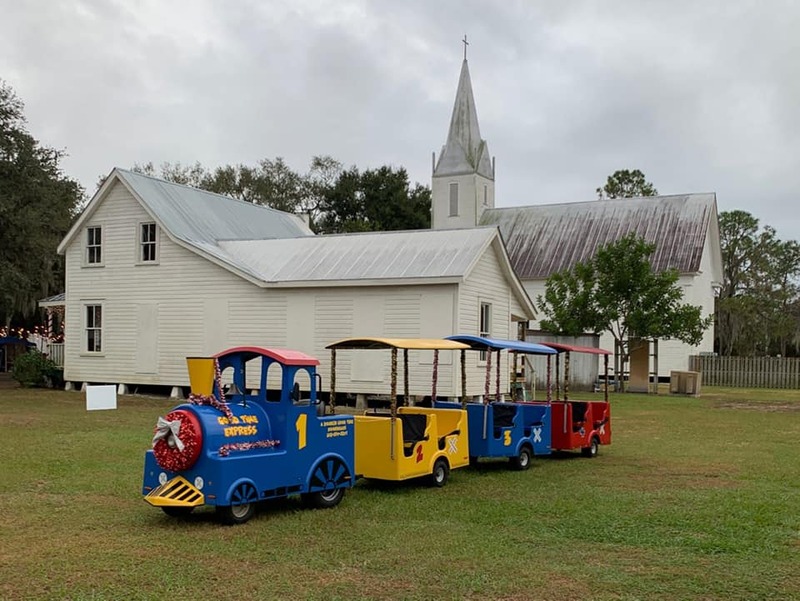 Comes with 1 conductor, 1 locomotive and 3 passenger cars.